I'm excited about going home for SO many reasons. 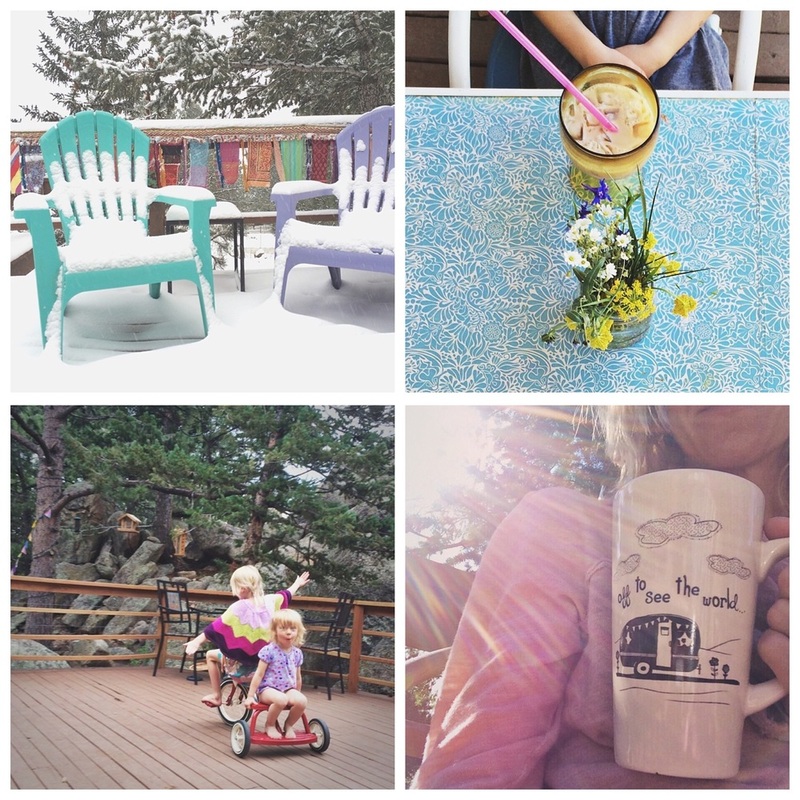 But as I ponder what I am anticipating the MOST...it's definitely OUR DECK & the early morning quiet of the mountains. I love sitting out there all snuggled up in a quilt...a steaming cup of yerba mate (with almond milk & a ridiculous amount of raw honey) in my hands, incense burning, and my Bible. And squirrels. I love them. 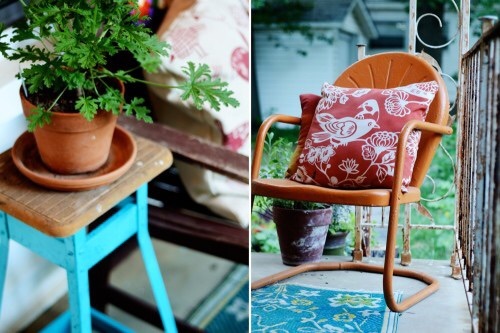 Remember when my friend Natalie gave us all those awesome tips on "Creating an Outdoor Space You Love"? Now it's time to put those ideas to work! We did spend lots of time living out on the deck last year...but never invested the time necessary to create a space that we loved. Rugs: Layered? Colorful of course. Couches/seating: I'd love an awesome & comfy couch and coffee table. Maybe a wraparound. I totally love this. Flags!! Some may say I overdo it. I say nonsense. You can NEVER have too many flags! Windchimes. You either love them or hate them. And I'm a lover. Eating space / table: there is nothing better than eating outside! And no, there aren't many bugs where we live! And yes, Colorado IS perfect. Play area: maybe an outdoor kitchen? I will be scouring the thrift stores and garage sales for fun things as well....that's one of the big things I've missed while being in the road too! Can't wait to show you the process...15 days and counting!